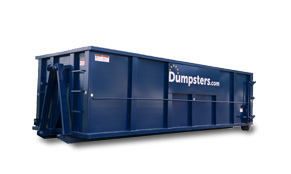 The Dumpsters.com team offers cost-effective debris boxes to keep your job site clean. Whether you’re demolishing a structure or building one from the ground up, we have construction containers to keep up with the mess. If you have too much junk for one container, we'll arrange an empty-and-return service so you don't have to pause your work. Let us worry about waste removal so you can stay focused on the real work. 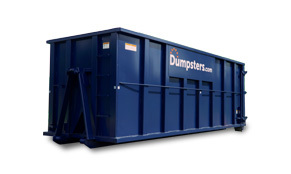 Contractors and homeowners rent our construction dumpsters for everything from roof tear-offs to renovations. Check out the container sizes below to find the right choice for your job. Got a major project on your hands? You can rent multiple dumpsters at a time or call your rep at their direct extension for a swap out. Please note: Availability and weight limits can vary by location due to local regulations. For information specific to your area, call us at 844-444-3867. Roof tear-offs and shingle removal. Due to their weight, shingles typically can’t be hauled in larger dumpster sizes. If you’re handling a large roof tear-off, rent multiple 20 yard containers. We cannot accept any yard waste in a construction dumpster since they’re usually hauled to different sorting facilities. If you’ll be dealing with yard debris while building or remodeling, we recommend renting a yard waste dumpster. Dealing with concrete, brick, dirt or block? These materials shouldn’t be mixed with other construction debris since it would quickly put you over your container’s weight limit. 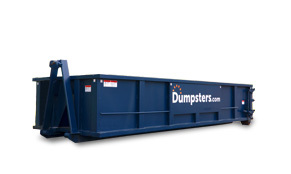 Ask about a special heavy debris dumpster, which can haul up to 10 tons at a time. Why Toss Your Construction Debris With Us? 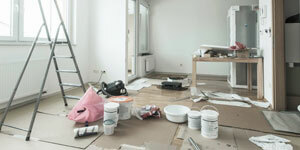 We can coordinate rentals across multiple job sites to simplify your planning process. We answer the phone and set up your order quickly so you can get back to work ASAP. You’ll talk to a real person every time you have a question or need additional service. We give you the full cost of your container upfront. Our flat-rate pricing covers disposal, taxes and a specific weight limit so you can rent without the guesswork. 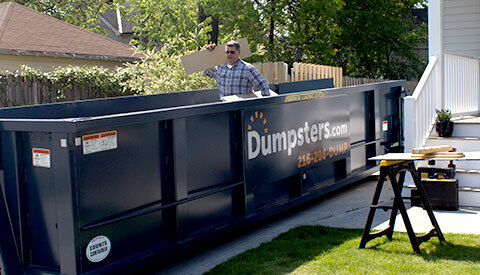 Choose Dumpsters.com for your construction dumpster rental and you’ll get an expert team on your side making sure you get the right container for your specific needs delivered on time. When you call us, a real person with experience will take the time to learn about your project, recommend the best dumpster size for the job and get it on the schedule for delivery. Need an empty-and-return? A quick call is all it takes. Just let us know where you are and what kind of debris you’re dealing with—we’ll handle the rest. Need some quick tips? Check out these recent posts from our blog.